Who doesn’t love saving money? Senior discounts are popular offerings for restaurants, retailers, hotels, and even prescription drug carriers, but keeping them all organized can be a major pain. If you want to see an extensive list of senior discounts, by category, try www.TheSeniorList.com. Aside from breaking down loads of discounts by category, the site also offers a lot of additional information like the discounts’ dollar or percentage amount, details on how to get the discounts, and contact information where applicable. Yes, you read that right. Truth is, a lot of retirees aren’t 100% ready to throw in the towel. Sites like www.RetiredBrains.com do a great job of listing part time jobs, work-from-home jobs, and volunteer opportunities for seniors who want to stay involved, or want to continue earning income. The site also puts users in touch with great personal development resources, like online class opportunities and resume help. A lot of retirees vouch to spend their golden years seeing the far-off places they’ve always wanted to visit, but planning trips solo can be overwhelming. Enter sites like www.TheRoamingBoomers.com, which offer travel agency services, package deals, and tons of general travel information geared toward adults over the age of 50. If you’re already retired and looking to save, invest, and spend your money wisely, check out blogs like The Retirement Manifesto and AARP. If you’ve ever Googled any medical condition or concern, you know that it’s a surefire way to get bombarded by information. Credibility is, and should be, a major concern with any internet search, especially when it comes to health-related issues, so having one verifiable go-to site is best. EverydayHealth.com fits the bill. It’s a great resource for learning more about conditions that frequently impact seniors, like diabetes, heart disease, high cholesterol, and arthritis. The site also offers a free meal planner, loads of recipes, and a glossary of prescription medications, so you’ll always know exactly what pills you’re taking, possible side effects, recommended dosage, and potential drug interactions. Of course, this is a largely abbreviated list. 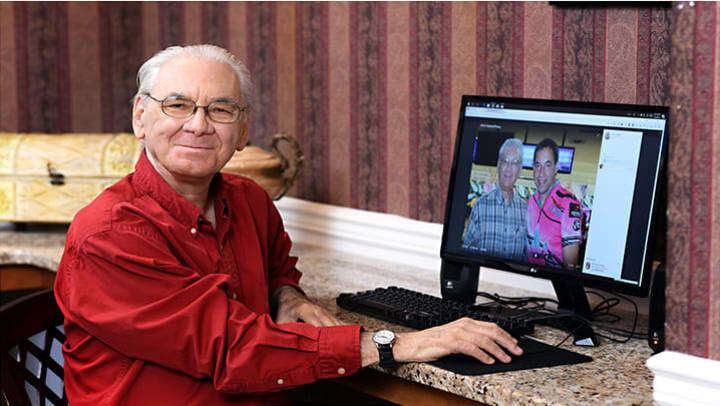 There are literally hundreds of useful sites for seniors, just waiting to be explored. So, go ahead! Internet search to your heart’s content. As long as you’re aware of how to keep your personal information safe online and avoid scams, there’s nothing to be scared of.